As sitting for long hours has become the unavoidable reality of today’s work life, choosing the right office chair is essential. A well-designed chair that helps with posture and is easy on the body can make the difference between hours of pain and an enjoyable day at work. This is even more important for offices where employees’ enthusiasm and productivity have a direct effect on the bottom line. That is why we advise our clients to use the five-point checklist below when selecting office chairs for their employees. Back Comfort. Sitting for hours puts a lot pressure on the back, so back support is very important in preventing muscle pains. However, each body is different, so the ideal desk chair should come with an adjustable backrest that allows for lumbar support. Such a chair helps you retain an erect, yet comfortable and relaxed posture and makes a huge difference in preventing or even reducing pain and stiffness. Make sure that the support remains the same when you adjust your chair from one position to another, for example when you choose to use the reclining feature. 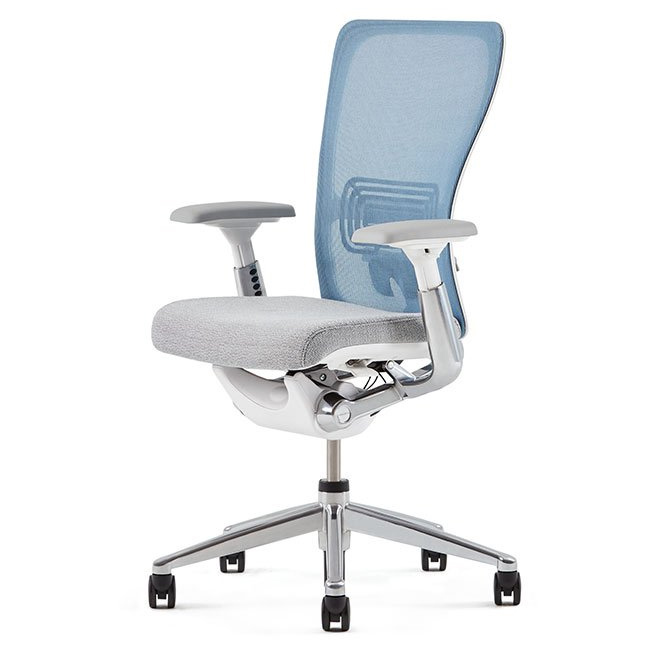 Embody Chair from Herman Miller. 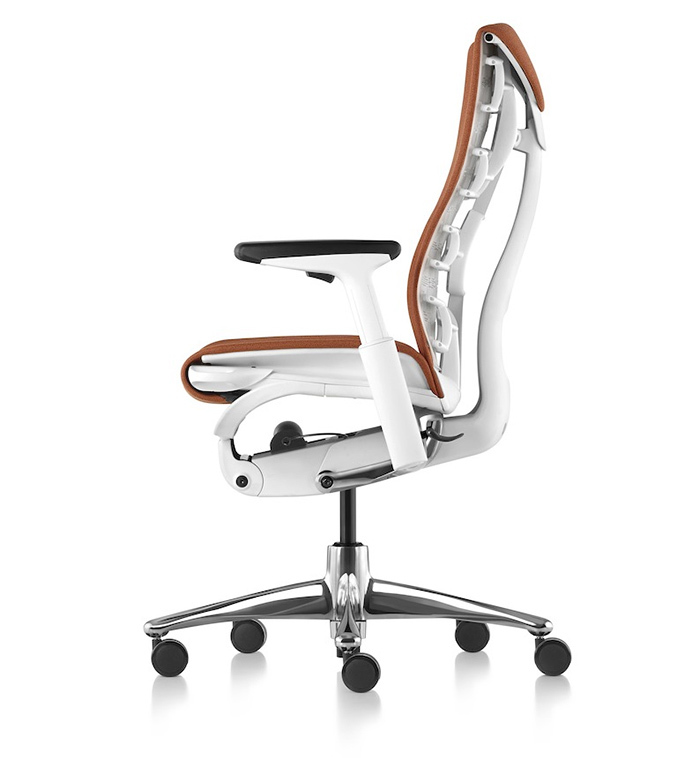 One of the best designed and most ergonomic chairs on the market. Seating. 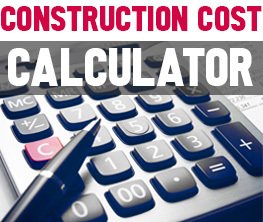 A hard seat is uncomfortable and poses a real problem for blood circulation. By contrast, a padded chair made of breathable material is easy on your legs and doesn’t overheat. An important feature you should look for is a rounded seat front that doesn’t cut the circulation in your legs. A good rule of thumb is that there should be some room between the lip of the seat and your legs when the seat transitions from a horizontal to an oblique plane. Armrests. Your torso should not touch the chair’s armrests, but allow you to slightly stretch your arms away from your body. Since bodies differ in built, it’s important to test the chair before making a purchase and ensure that the seat is not too narrow for comfort. Choose adjustable armrests that offer the right support when working and are compatible with the shape and height of your desk. Height. The most important thing to have in mind when choosing the right office chair is compatibility with a good seating position. A correct seating position means that thighs are parallel to the floor, feet flat on the ground and wrists straight while typing. To achieve this ideal position, the height of your chair must be adjustable. A last resort would be adjusting the height of your keyboard. However, that solves only part of the problem and may not be enough to prevent back stiffness or pain due to uncomfortable leg positions. The Trey chair can convert into other pieces of office furniture, from rockers to side tables. Stability. Finally, make sure your chair is stable. That means that it safely locks into position and that it doesn’t topple over when reclining or moving around. Swivel desk chairs on wheels give you some extra mobility so that you don’t dangerously test the stability of your chair every time you reach out. 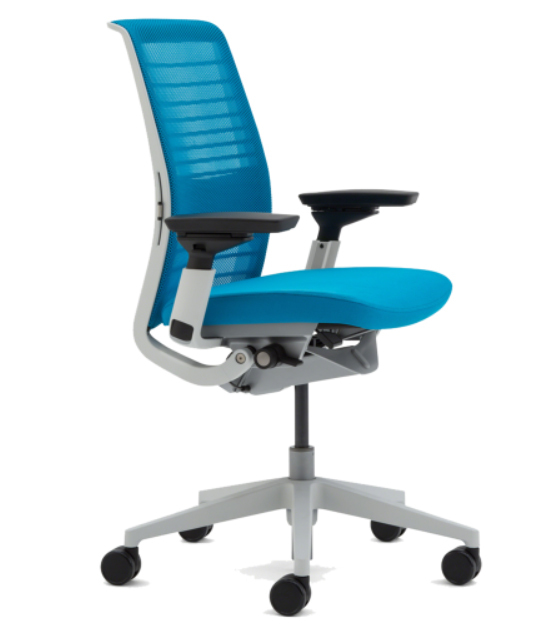 In addition, a five-point base ensures that the chair doesn’t fall when you recline or move around in your seat. 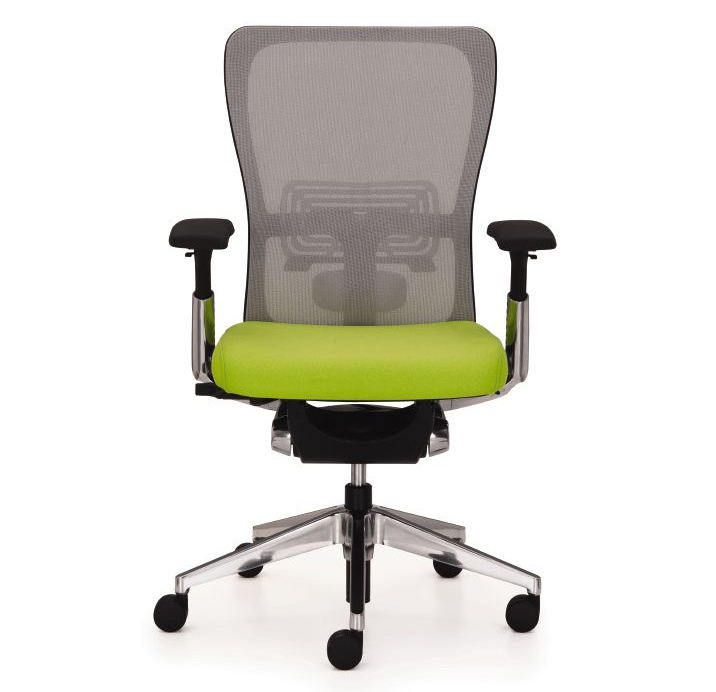 Choosing the right office chair takes a little effort, but it may turn into a fun little adventure. Try to meet the chair in person before buying it. Sit in it and play with its adjustable features to see if the chair is a good match for you. A good choice pays in hours of painless sitting, in developing and retaining a good healthy posture and in avoiding the possible back problems of tomorrow.